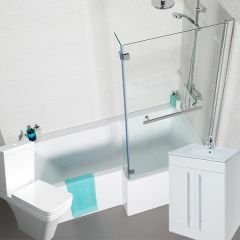 For those who have limited space and a bath is not an option, we can offer a space-saving shower enclosure suite. 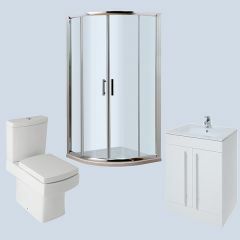 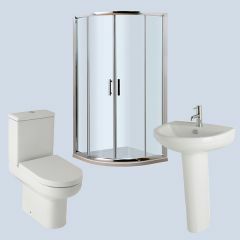 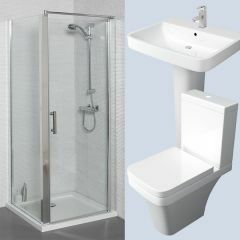 This consists of a shower enclosure and tray, along with a toilet and basin. 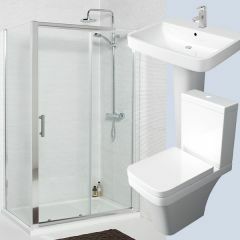 Please visit any of our showrooms or give us a call on 01234 324598 for technical information.